Gives voice to more than fifty extraordinary people who are currently engaged with this transformation. These individuals form a diverse community that cuts across professional disciplines, cultural, linguistic and geographical boundaries. They share a belief that they can make a difference through design and architecture. The Rise of Living Architecture Commemorative Edition (c) Book Profiles More than 50 of the hundreds of leaders that have created the base and molded the foundation of living architecture. 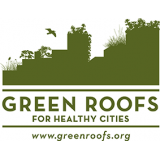 With inspirational leaders such as these, the future of green roofs and living walls can expect to continue its triple digit growth. Our design, policy, academic and manufacturing leaders bring forth a knowledge and experience in this commemorative edition book. The Rise of Living Architecture is a beautiful book designed by award-winning Ian Rapsey, and includes a foreword on Restorative Design by celebrated academic Stephen Kellert, Yale University and an essay on the transformative power of living architecture by Steven W. Peck, Founder and President of Green Roofs for Healthy Cities. The outstanding photographic work of Brad Temkin (www.bradtemkin.com/rooftop) is featured throughout this limited edition work, which will be available for signing during the trade show on Thursday October 18, at the 10th Annual CitiesAlive in Chicago.